Discover the long-lasting benefits of our varied healing solutions! 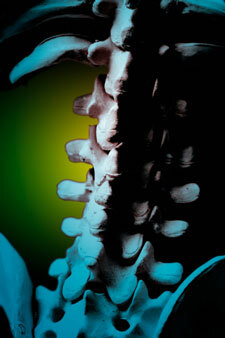 Italia Chiropractic Health Center is a multidisciplinary health care center offering different services to help you. These options give you lasting benefits, addressing your needs holistically to bring you to the highest levels of well-being. Often, Dr. Italia may recommend them in combination to you as appropriate to speed your healing. Dr. Italia tailors chiropractic care to your needs and goals. We’ll start with a full examination to diagnose your problem. A treatment program, including therapies, is recommended as appropriate and varies from person to person. You’ll not only understand your problem but what we’re doing to fix it. We offer techniques for every part of your body and give chiropractic treatments from head to toe. These modalities can help speed your healing. Dr. Italia will prescribe them as a part of your treatment plan. They include ultrasound, electric muscle stimulation, hot packs, cold packs and traction. High-tech and low-tech rehabilitation can help you recover from pain and injury, including sports-related issues and auto accidents. We offer many different types of equipment and use core strengthening exercises, pulleys, TheraBands™, stability balls, weight machines and aerobic machines. Focusing on the nutrition your body requires can go a long way toward helping you get on the path to better living. Heart disease, diabetes and even common problems like back pain can have a nutritional component to them. Dr. Italia can discuss our weight loss options with you, creating a personalized program to help you reach your goals. Massage therapy is defined as the manual manipulation of muscles and other soft body tissues to improve a person’s health and well-being. Massage can help reduce stress and anxiety, relax muscles, rehabilitate injuries, reduce pain, and promote overall health. At Italia Chiropractic Health Center, we offer a variety of massages including relaxation massage and rehabilitative massage. Our massage therapist has over 20 years of experience. She has practiced physical therapy as a licensed physical therapist in Peru for 10 years and massage in the United States for the past 10 years. Her diverse background has made her an expert in the musculoskeletal system, with a knowledge level well above many in Herfield. She has experience in deep tissue massage, pregnancy massage, orthopedic and sport massage, Reiki and relaxation massage. Acupuncture has been used in the health care system of China for at least 2,500 years. The theory of acupuncture states that there are patterns of energy flow that naturally occur throughout the body. When this energy flow becomes blocked or out of balance, then ill health and disease can occur. Acupuncture may correct imbalances of flow at certain points close to the skin and thus improve energy flow and health overall. Wellness programs are available to keep your care affordable. Contact us today! Free and convenient parking is available on-site.